For those who want to spend their Christmas holidays in Europe, here are some places. I think you will enjoy visiting these places. 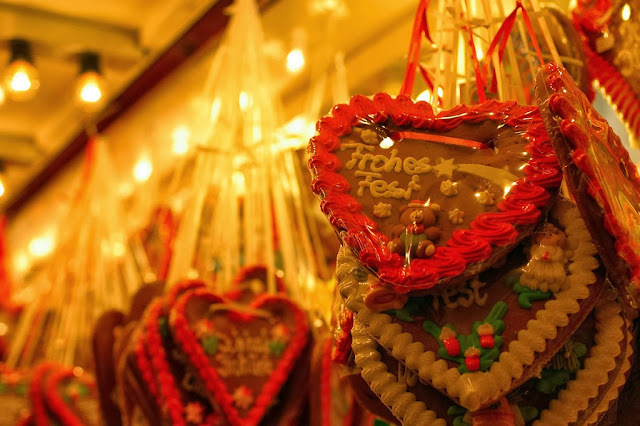 You can pick up handmade gifts, savor roasted chestnuts and mulled wine, find many interesting things. 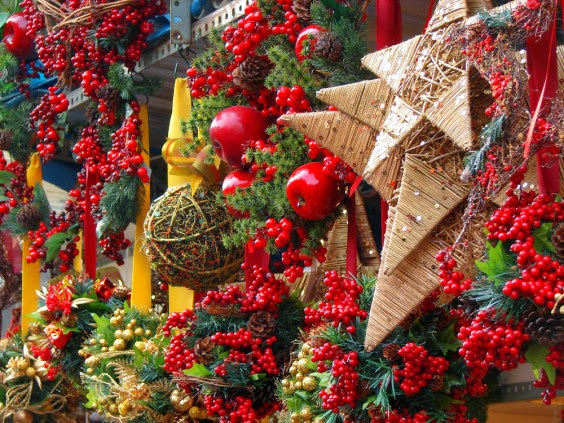 Dating from 1786, this traditional Christmas fair has expanded to more than 300 stalls selling all manner of handcrafted Christmas decorations and gifts, along with mistletoe, poinsettias and Christmas trees. The most popular figure on sale for Nativity scenes is the curious Catalan figure of the caganer(crapper), a small figure crouching over a steaming turd with his trousers around his ankles. Kids line up for a go on the giant caga tió, a huge, smiley-faced ‘shitting log’ that poops out pressies upon being beaten viciously by a stick; smaller versions are on sale in the stalls. There’s also a Nativity scene contest, musical parades and exhibitions, including the popular life-size Nativity scene in Plaça Sant Jaume. It is recommended to use the public transport in order to avoid traffic jams, especially on public holidays and weekends. Station Bicing on Avinguda de la Catedral, opposite numbers 4-6. Lines 17, 19, 40, 45 and 120. Car parking on Avinguda de la Catedral and Avinguda de Francesc Cambó, next to the Mercat de Santa Caterina market. Entrance on Vi­a Laietana. Berlin could easily be described as the capital of the Traditional Christmas Market, if judged on quantity alone – it has over fifty across the city every year. 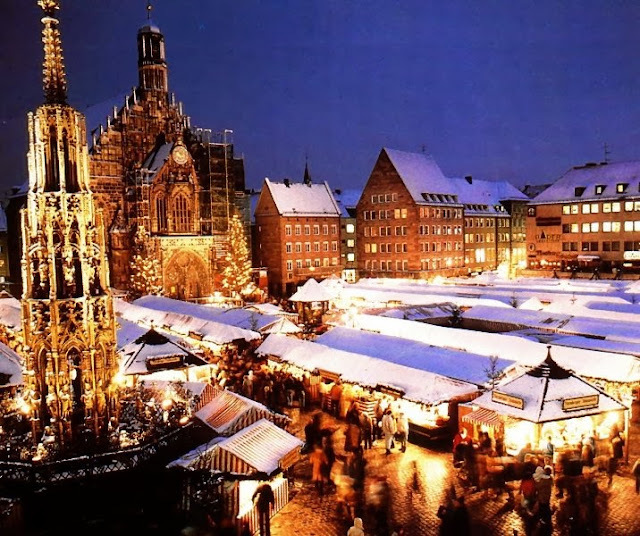 The market at Kaiser Wilhelm Gedächtniskirche is the biggest and most popular receiving around 2 million visitors each year who come to peruse the jewellery, decorations and artwork on sale as well to indulge in the more clichéd seasonal pleasures such as chestnuts and mulled wine. Christmas in Brussels seems to get bigger every year. 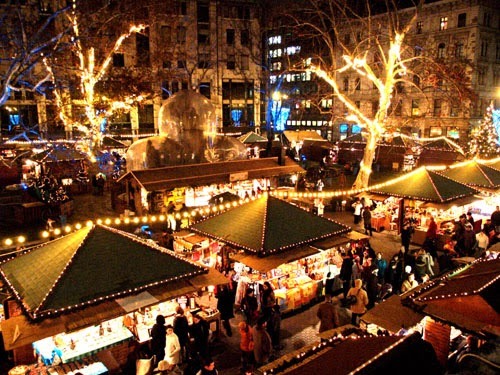 The Christmas market now extends along the streets from Grand’Place to place Ste-Catherine, covering almost 2 kilometres (1.2 miles). Each of the 240 market stalls is a little wooden-roofed hut selling mainly arts and crafts or food and drink, all of them having a pan-European flavour. By the time you reach place Ste-Catherine and the quays beyond, not only are you decently warmed up, but you’re at the heart of the festivities. The quaint stalls continue, punctuated every now and again by a 35m toboggan slope, a big-wheel illuminated with 18,000 lights and, of course, the 200 foot-long skating rink. From Monday to Thursday and Sunday: 11am to 9pm. Friday, Saturday: from 11am to 10pm. 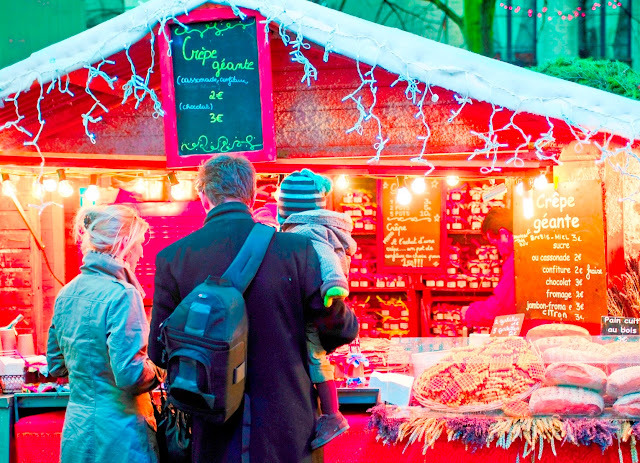 Winter Wonders will also be accessible by the STIB and Train Brussels–Central station. Cyclists will be able to park their bikes onto one of the 100 recently installed bicycle racks.